Academic Signing Day for seniors will be Wednesday, May 22nd at 10 am in the cafeteria. Seniors who have finalized their post-high school decision should submit documentation to Joanna Ellis in the Counseling Office by May 10. This will be a celebration of decisions made for the military, trade school, and college. Piedmont High will be closed for Spring Break from April 19-28, 2019. Got the UCPS Mobile App? Get directions on how to install the UCPS Mobile App to your phone so you can stay up to date on all the happenings at Piedmont and in UCPS. 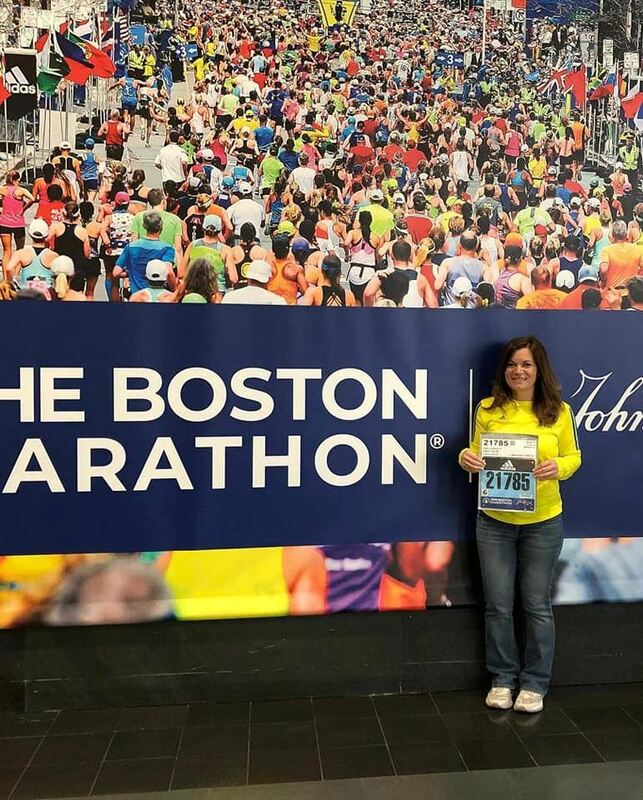 Congratulations to math teacher Vanessa Falbo, who completed the Boston Marathon on April 15! Falbo ran her first marathon in 2013 in Charleston, after which, she set a goal to run a marathon in every state. In March 2018, after completing her 20th marathon in Virginia Beach, she achieved a time that qualified her for the Boston Marathon. Massachusetts will be her 20th state on her bucket list and her 23rd marathon overall. Falbo attributes her accomplishment of this goal to persistence and hard training. 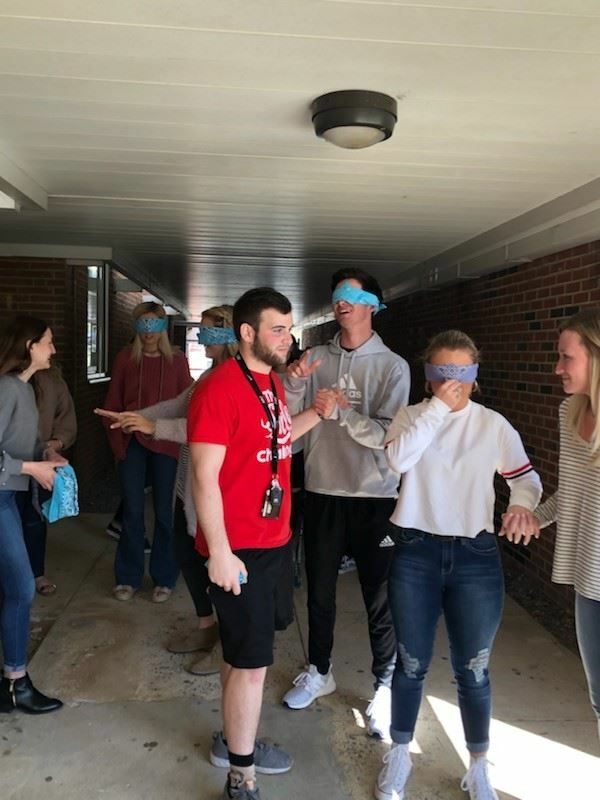 Mrs. Plyler’s health science students recently participated in a “trust walk", where half of her students were blindfolded to represent being blind and the other half were their mute guides, who had to lead them around campus. Students have been studying the body’s senses and this gave them an opportunity to put themselves in the shoes of those with sensory deficits.